Named with a perfect French word, as in the word picturing the real meaning ‘small cottage’, Anne’s Maisonnette, is a very beautiful guest house located in the main town of Southern Province in Sri Lanka & is managed by Mahen, Anne & their teen aged sons. With a ten minutes drive to the old Dutch fortress, Anne’s Maisonnette is situated on a hillock with a panoramic view. The cozy apartments are surrounded by well landscaped, quiet garden which conveys the eco friendly concept. Just five minutes walk to the Karapitiya Teaching Hospital & Medical Faculty. The lady of the household, Anne is very friendly, helpful where you feel quite at home. Mahen is a hotelier who has experience of nearly 20 years in leading hotels, overseas & Sri Lanka. Anyone who tastes his mouth watering menus, including western & SriLankan delicacies will be an unforgettable experience. Now our Swimming pool is open for you!!! 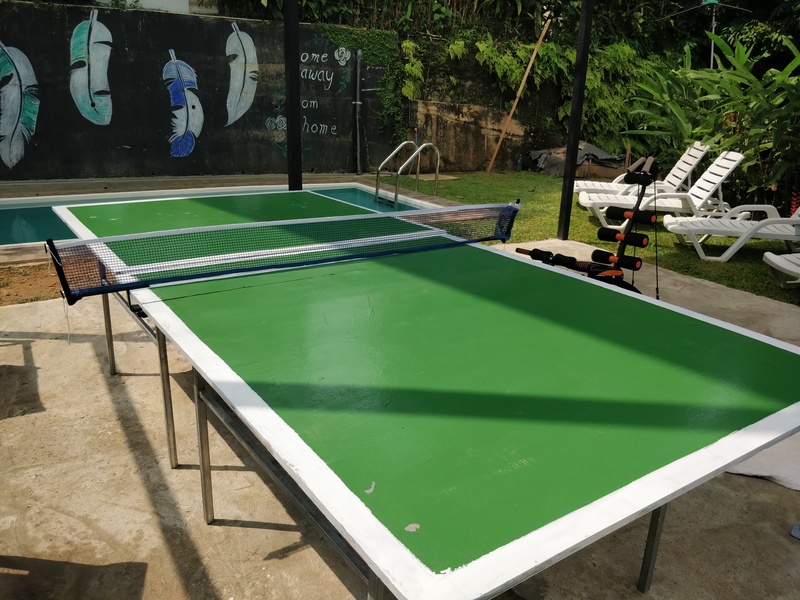 Show your Table Tennis skills and have fun! Now Shisha available at our Home stay!